Technology and animals often serve as the boundaries by which we define the human. In this issue contributors explore these categories as necessary supplements or as porous membranes which disturb the scaffolding of how the human is constructed. A lingering question throughout is whether we have ever been human or if such a category is a non-localizable ideal or perhaps a misnomer. 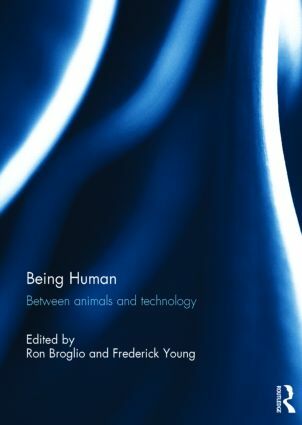 In this collection of essays, internationally known theorists muddle the categorical boundaries such that animals and technologies become necessary components rather than limits for what it means to be human. They examine a range of subjects, including apophatic animality, critical media objects-to-think-with, biosemiotic insect resonances, the monstrous and horrific which dislodges our cultural animals, and the problem of thinking of animality as stupidity. Novels, films, digital objects, scientific laboratories, philosophical texts, animals on the road and in the fields serve as sites for inquiry. The result of these investigations is the spectral possibility that we are not the humans we make ourselves out to be. This book was originally published as a special issue of Angelaki. Ron Broglio is Director of Graduate Studies at Arizona State University, USA, and Senior Scholar at the university’s Global Institute of Sustainability. He is author of Surface Encounters: Thinking with Animals and Art and Technologies of the Picturesque. Frederick Young is faculty at the University of California, Merced, USA. He collaborates with conceptual artists and is working on a theoretical treatise on revolution, animality and technics. He is the author of Toward an Ethics of the Political and has published on Critical Theory and Art Practice.